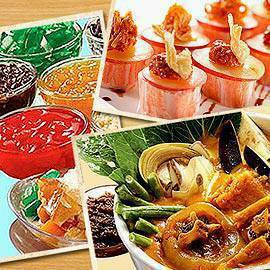 For just P665, pig out on Japanese, Continental, and Pinoy specialties at Dads’ bountiful buffet. 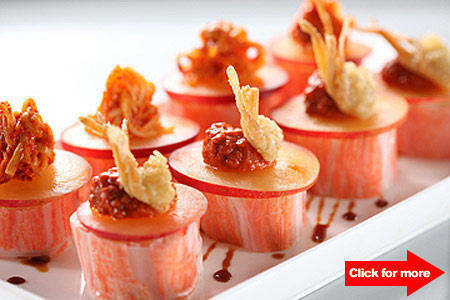 Feast on Japanese, Continental, and Pinoy specialties at this three-in-one buffet. Click for more. (SPOT.ph) From being one of the pioneers in affordable eat-all-you-cans since they opened back in '93, Dads has now evolved into the ultimate buffet destination with a massive three-in-one spread that not only features the restaurant’s continental fare, it dishes out Japanese specialities from Saisaki and authentic Pinoy favorites from Kamayan as well. 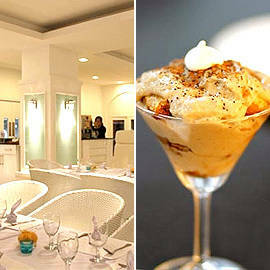 Be warned: with more than 200 dishes on display, you might have a hard time picking what to eat. Go for these sure-shot specialties and you won't be disappointed: Dads' leg of lamb, roast beef, turkey, paella, Caesar salad, and walnut cake. From Kamayan, not-to-miss dishes include their popular lechon de leche, kare-kare, kuhol sa gata, Mayon express, tostadong adobo, bibingka, and halo-halo. Don't forget to leave space for Saisaki's signature rolls (kani bou maki, Miss Saigon roll, kinshi roll, and temaki), teppan, sukiyaki, and yakitori. Perfect for pigging out with friends and family, Dads’ casual interiors and fuss-free set up only make the foodfest extra enjoyable. Plus, they give away one free buffet for every group of ten-at P665 per person, this bountiful buffet is practically a steal.